Flying feet and swirling skirts fill the air with a sense of frenetic energy punctuated by the tapping of cleated foot ware in a performance of sevillanas in a village festival. 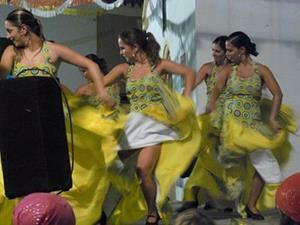 A mesmerizing experience! I was so caught up in it that I almost forgot to record it! 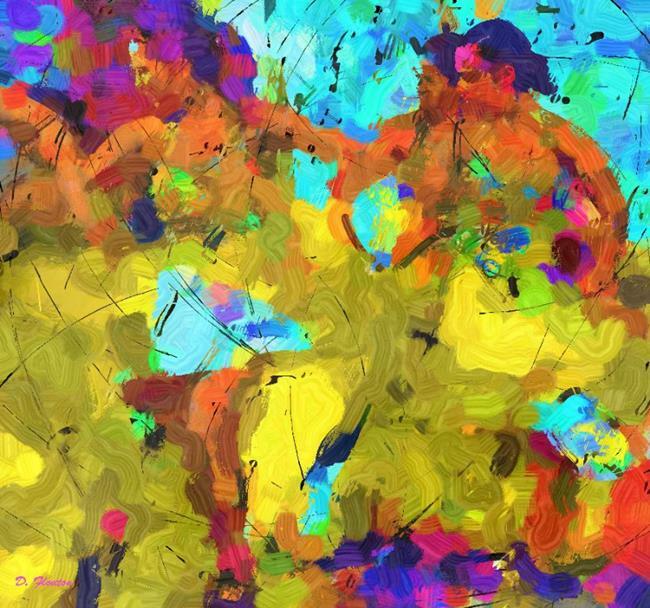 Digitally painted from a video still in Studio Artist with purposely used vibrant colors to emphasis the vitality and fierce concentration of the dancers.